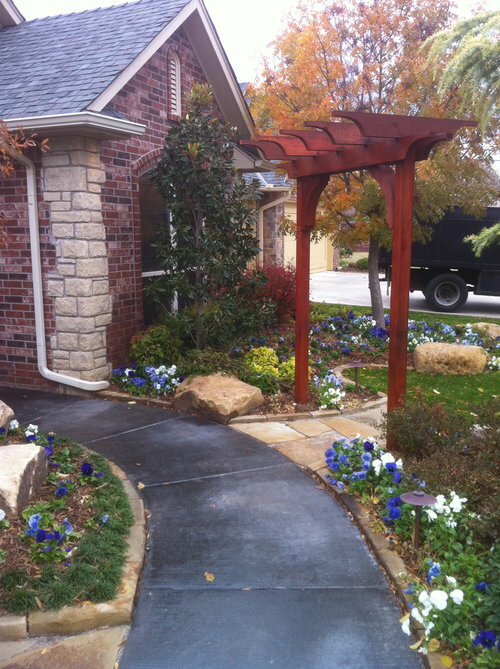 ADC Hardscapes has been a trusted contractor in the Oklahoma City metro since 2002. We specialize in the design, construction, repair, removal, and replacement of concrete surfaces, outdoor living areas, retaining walls and pools. Our company was founded on the principle that no corners should ever be cut. Honesty and Integrity are fundamental to our companies’ values. Our Years of experience has licensed us to adequately evaluate each project and utilize the optimal equipment, processes, materials, and formations for your individual needs, no matter how big or small. ADC Hardscapes wants to make your project hassle-free while exceeding your expectations. If the client isn’t happy, then neither are we. We love to design & create custom retaining walls and pools! You deserve a unique piece of art. Every one of our custom designs is unique for our clients’ homes. 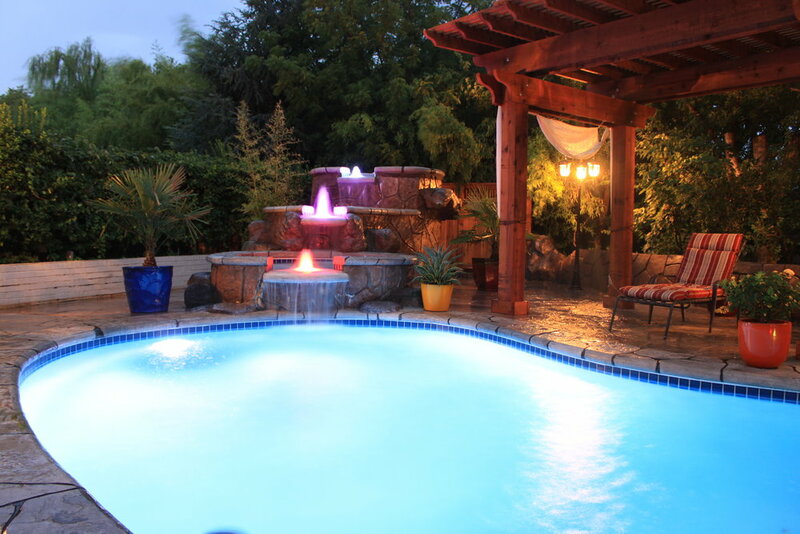 Whether is a pool, retaining wall, outdoor living area or patio we strive to create you a one-of-a-kind feature. The possibilities are truly endless so take a look at what others have done using ADC HARDSCAPES. No two projects will ever look the same. Oklahoma weather can wreak havoc on retaining walls. If your retaining was is crumbling, not properly moving water, or cracked. We are here to help. The strength of a retaining wall goes beyond the surface, the drainage system and the base it is constructed on can impact its durability. We can determine the root of the issue and construct a heavy-duty retaining wall that’s artfully crafted. We get the job done right the first time around. Get ready to have the BBQ’s, outdoor parties, and family functions of a lifetime. 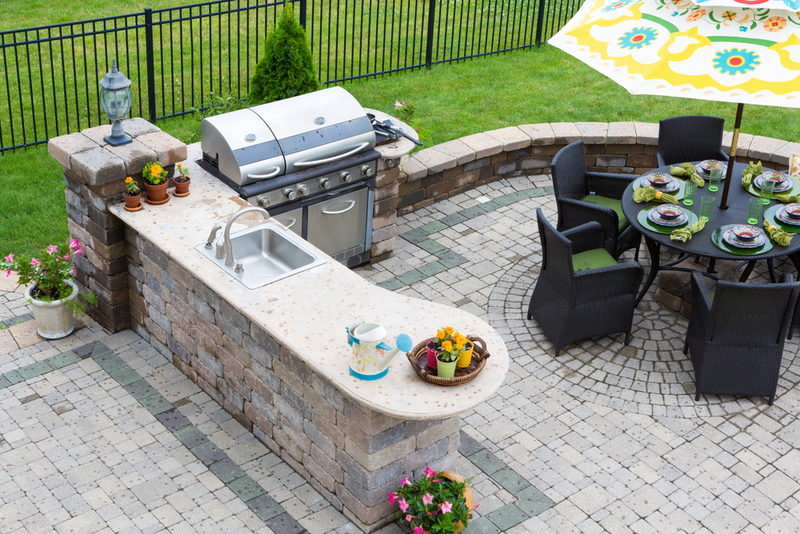 We can help you design your custom outdoor kitchen and living area guaranteed to make you the “hostess with the mostess”. Our expert professionals can help you get your project completed with minimal disruption. Whether you are wanting an outdoor fireplace, built-in grill, entertaining area, firepit or more we are here to help make your vision legendary. Step up your property’s curb appeal with great landscaping. We offer full-service landscaping so you never have to lift a finger. Stamped concrete provides texture to any surface and creates the illusion of brick, stone, tile, or wood – you will be surprised with the looks we can achieve with concrete. Every outdoor living area thrives more with an overhead structure to complete it. They provide protection for our crazy Oklahoma weather and are great for entertaining. NEED A DEPENDABLE TEAM YOU CAN COUNT ON? LOOK NO FURTHER! ADC HArdscapes is here to help you build your dream project in no time to your liking. We are very happy that we appointed ADC and its crew for our backyard and retaining wall. We chose ADC after getting quotes from different contractors in OKC, and decided to go with them, courtesy the reasonable pricing and professionalism. They always assist over phone and texts are answered promptly, sometimes within a minute and the service aced in quality. ADC takes full ownership of the overall workmanship and is very cooperative and open for suggestions. Our family is very happy with the overall performance. It is relaxing to work with a contractor with such professionalism and integrity. We would highly recommend ADC and crew to anyone looking forward to doing anything on the yard. The professionals at ADC are very honest and hardworking. 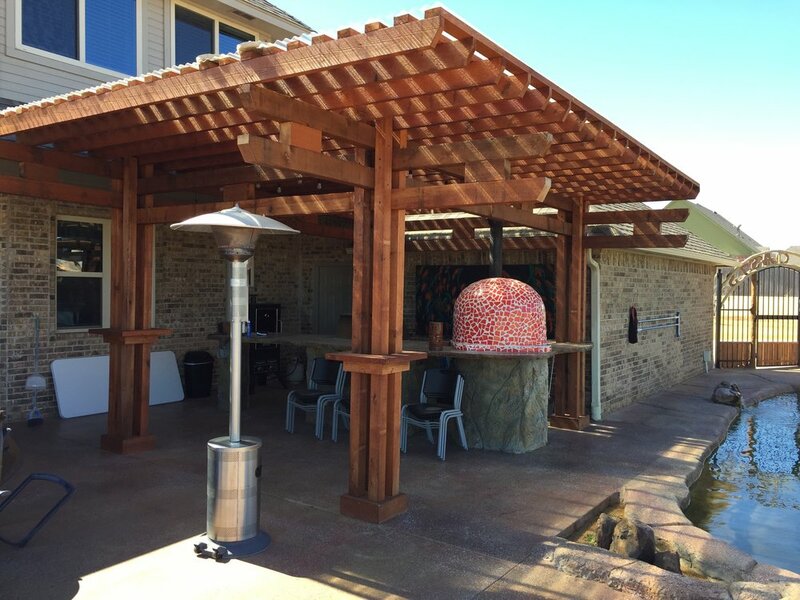 We hired them to build a pergola and they did the work at a fair price and on time. They always make sure that the customer is happy and satisfied. For me, they are the best pergola builders. I would hire them again without any hesitation and refer them to my friends in Oklahoma City. We live in a steep sloped land where making a garden was very difficult. I had decided to make a retaining wall to solve this issue. I was looking for a retaining wall contractor in OKC and found ADC Hardscapes. The team did a spectacular job for us. They provided great suggestions on wall design and placement and our backyard looks amazing now. I would love to call them again for any future wall needs. 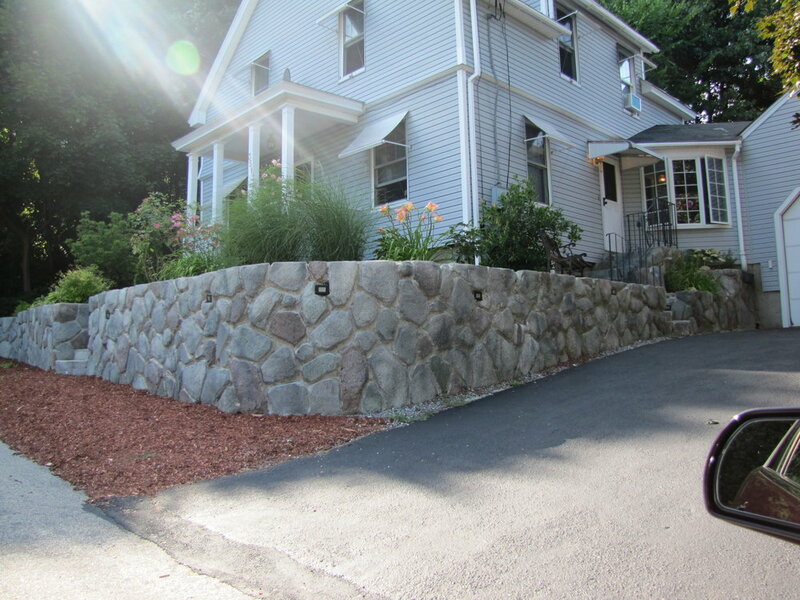 We recently had Donnie and his team build us a large retaining wall in our backyard. Donnie asked questions no other company did in helping us determine what our needs were in regards to preventing any future washout and protecting our home’s foundation. He not only met those needs, but also provided a stunning result that boosted the visual aesthetics of our property. His team was respectful and professional and made the process as enjoyable as the end result.